In this issue: A world in the balance, the future of defense, and final showdown for the fate of history as we know it. 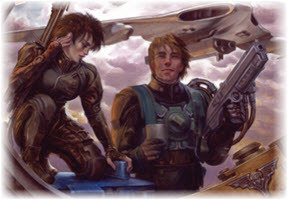 All that, plus a new short story by Sharon Lee and Steve Miller set in the Liaden Universe ®. When the fate of the world hangs in the balance, a man robbed of his memories must rise up and confront a dark power that has been kept at bay for a millennium, but which now threatens to break free. He’ll find it’s not easy to face the future when you can’t remember your own past—but if saving the world from evil sorcerers, devils, and dark gods was easy, anyone could do it. A new epic fantasy series from David Weber, set in the Bahzell/War God universe. 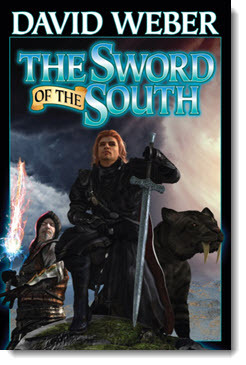 Get The Sword of the South eARC now. 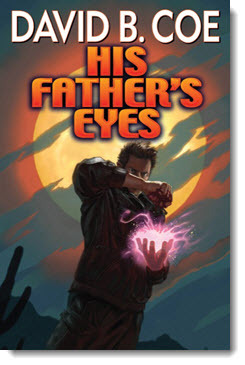 Get His Father’s Eyes eARC now. Darby Bajek always had a kind heart. That’s why when he hears the sound of someone being assaulted, he runs toward the fight instead of away from it, as would be sensible. Darby is about to find out that good deeds are sometimes more than their own reward. And he’ll discover something a secret buried deep within himself, the like of which will turn his world upside down. A new story by Sharon Lee and Steve Miller, set in the wildly popular Liaden Universe ®. Read “Chimera” here. And for more Liaden Universe ® stories, check out A Liaden Universe ® Constellation, Vol. 3 here. When we think about the future of military weaponry, we often focus on the offensive side of battle—ray guns and disintegrating pistols and the like. But in order to win a modern war, defense can be just as important. In this month’s free non-fiction essay, structural engineer and National Guardsman Alan Isom looks at Israel’s game-changing Iron Dome and the future of defense. 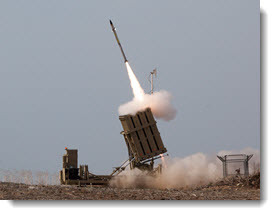 Read “Using Missile Defense Against Terrorist Attacks: Israel’s Iron Dome and the Future of Rocket Shields” here. 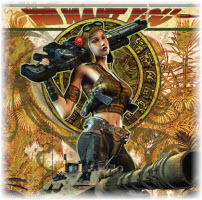 Baen Books is pleased to announce that we have acquired eleven new science fiction and fantasy novels. Works include Gentleman Jole and the Red Queen, a new Vorkosigan Saga novel by award winning New York Times best-selling science fiction author Lois McMaster Bujold; two new entries in the best-selling Liaden Universe® science fiction series by Sharon Lee and Steve Miller; and a new novel by Hugo finalist, Audie Award Winner, and New York Times best-selling author, Larry Correia. 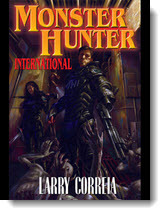 We are pleased to announce THREE fantastic new additions to the Baen Free Library: Monster Hunter International by Larry Correia, Fire with Fire by Charles E. Gannon, and Cobra by Timothy Zahn. All are available immediately, and ebooks of the second editions of Monster Hunter International and Fire with Fire containing more original material from the authors have also been made available for sale (Cobra is available as an ebook as part of The Cobra Trilogy). Please help spread the word! 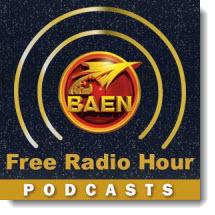 Read these and many more great Baen titles at no cost here. Twelve tales of scouts, artists, traders, priestesses, magicians, and pilots, set in one of the most epic SF worlds ever created. Sure to delight long-time fans and newcomers alike. Isolated by the light years that lie between them and Earth’s established colonies, the pioneers on the outskirts of the galaxy suddenly face a merciless enemy: an alien warrior race bent on the total destruction of every other space-faring race that might challenge them. For almost a hundred years, the Hothri waged a war of conquest against humanity’s strongholds in deep space. Now, forced back to their homeworld by vast fleets of Hothri warships, the leaders of the Aristan financial empires realize that they must achieve victory in a desperate defense against a foe that had never been defeated. Earth is divided into two enemy camps: the United Nations and the Confederation of States. They have taken their animosity into space, each claiming territories farther and farther out in the solar system, until both reach and lay claim to the wealth to be found in Jupiter’s moons. The first standalone tale from the forthcoming steampunk fantasy epic written by Kevin J. Anderson and legendary Rush drummer Neil Peart. Set in the same universe as their New York Times bestselling Clockwork Angels. A hilarious spoof about a one-hit-wonder rock star and a group of obsessive fans who won’t let him rest in peace without demanding an encore. Written by #1 bestseller Anderson and multiple Grammy Award winner Janis Ian. A humorous romantic fantasy about kissing frogs, evil spells, true romance in the swamps. And a giant alligator or two. During a late-night jog around Stanley Park, Jelani stumbles upon a vampire feeding—and his life becomes one escape from death after another. Caught in a war between Hunters and vampires with no safe place to hide, Jelani has to take refuge in the sun’s light, while using his wits to survive the night. Earth has become a library planet for thousands of years, a bastion of both useful and useless knowledge, gathered by teams of “pack rats” who scour the galaxy for any scrap of information. Knowledge is power, knowledge is wealth, and knowledge can be a weapon.